Pioneers in the industry, we offer acidic ramming mass for chemical industry from India. Our firm is acknowledged by the clients due to its flawless work. The Acidic Ramming Mass for Chemical Industry offered by our company is appreciated by the clients due to its accurate composition. It is available in grains of all sizes and in Powder form. Our products are tested by our professionals and processed under hygienic environment conditions. 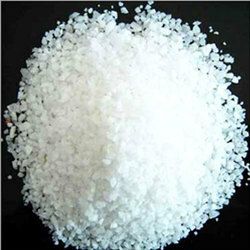 We offer Acidic Ramming Mass in affordable price.